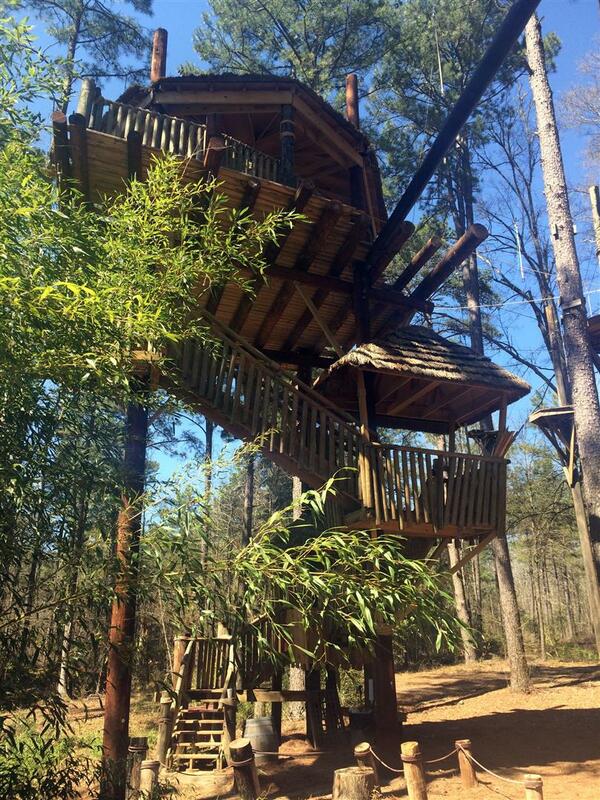 Forty-five feet in the air is where you will find yourself if you climb to the top of the Swiss Family Treehouse. 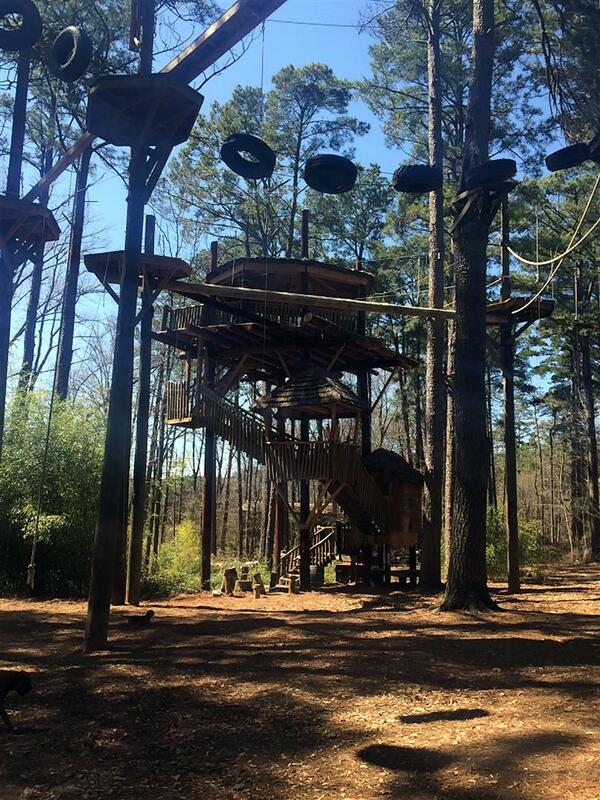 At the top you will find hammocks for lounging and a beautiful view of Lake Adirondack. 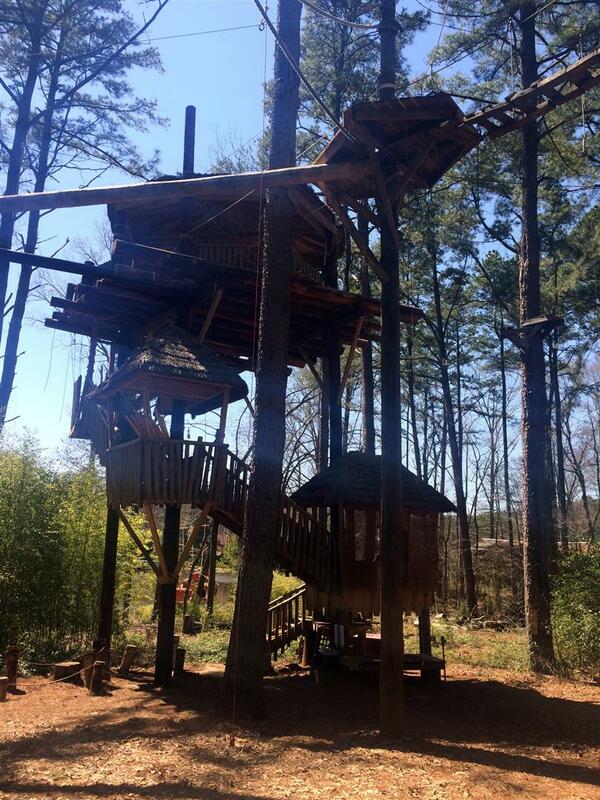 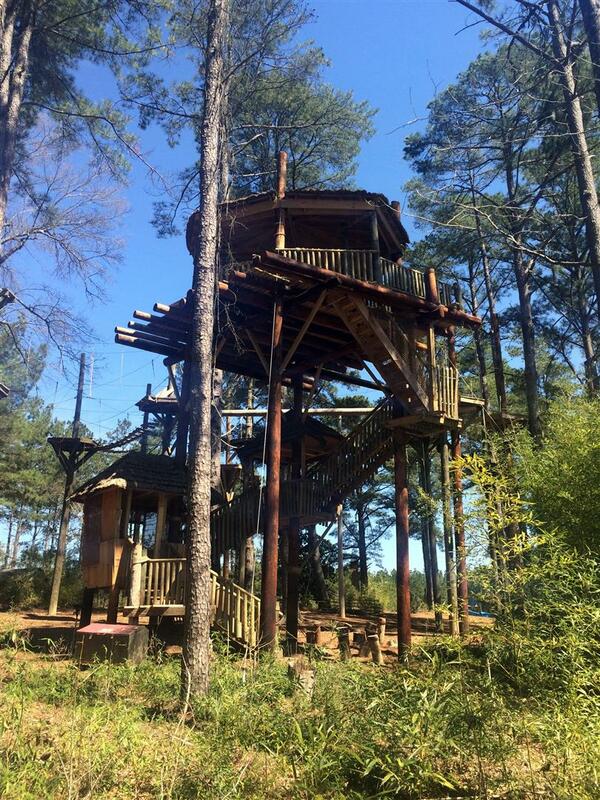 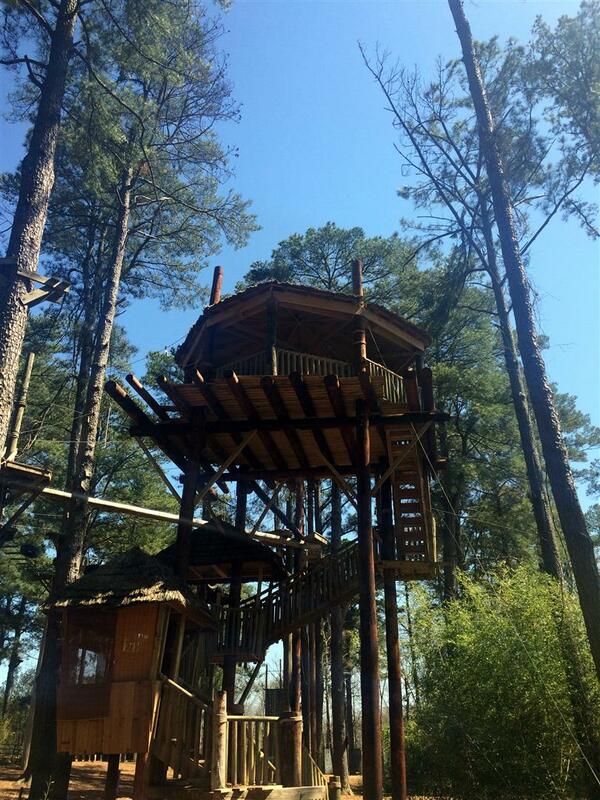 It’s also a fantastic place to encourage participants on the high ropes course as the ropes course actually begins from the treehouse!